There are a ton of resources out there that claim to provide quick and easy ways to identify a fake diamond. Don’t fall for the lies! If something seems too good to be true, it probably is. So, if you read an article claiming there are 3 quick and simple ways to spot fake diamonds at home, you should be skeptical. And, some of these methods may end up causing damage to your precious stones. Gemologists spend years studying and perfecting their craft. There must be something more to determining if a diamond is real or not other than just holding it up to the light. There are a few simple tricks that can help differentiate between real and fake diamonds but you should not rely solely on these methods. If want to know for sure whether or not a diamond is real, it is always a good idea to have an expert take a look. Speaking of diamond experts, we are M.I. Trading, Austin’s premier diamond buyer and we are about to share with you the truth when it comes to spotting fake diamonds. A jeweler looks at a diamond through a jeweler’s loupe and within a few seconds seems to know everything there is about that particular stone. 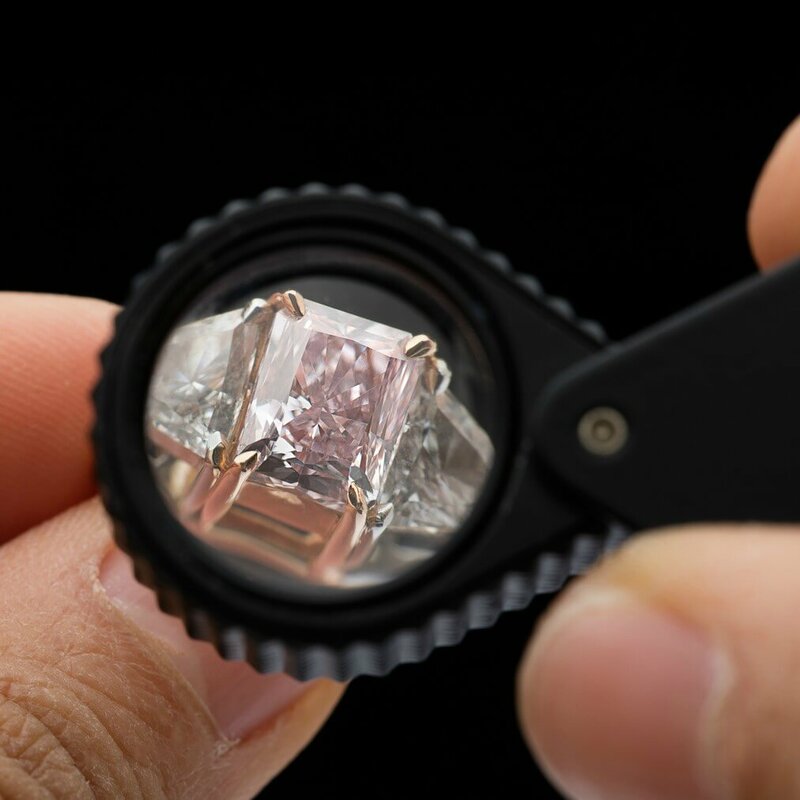 In reality, without years of experience looking through a jeweler’s loupe at a variety of different types of stones, you probably won’t be able to spot inclusions that easily. Let’s say you are able to spot some inclusions on your diamond, what does that really mean? Simply put, diamond inclusions refer to the internal clarity of the diamond. Inclusions are an important factor in determining the value of your diamond when you want to sell you diamond after a divorce or an estate sale, for instance. But when it comes to spotting fake diamonds by looking at inclusion using a jeweler’s loupe there are a few important facts to remember. Whether it is a natural diamond or not, most real diamonds will have some inclusions. But as we can see with some of the world’s most expensive diamonds, some are flawless and therefore have no inclusions. Many people believe that a complete lack of inclusions is a key clue that the diamond is fake, but this is also false. First, gas bubbles in glass imitations may look like inclusions. Also, there are many colorless natural gems such as zircon or topaz that can pass as a diamond to the untrained eye and will have inclusions. If someone tells you that if a stone is not set in gold or platinum it can’t be real, don’t believe them. 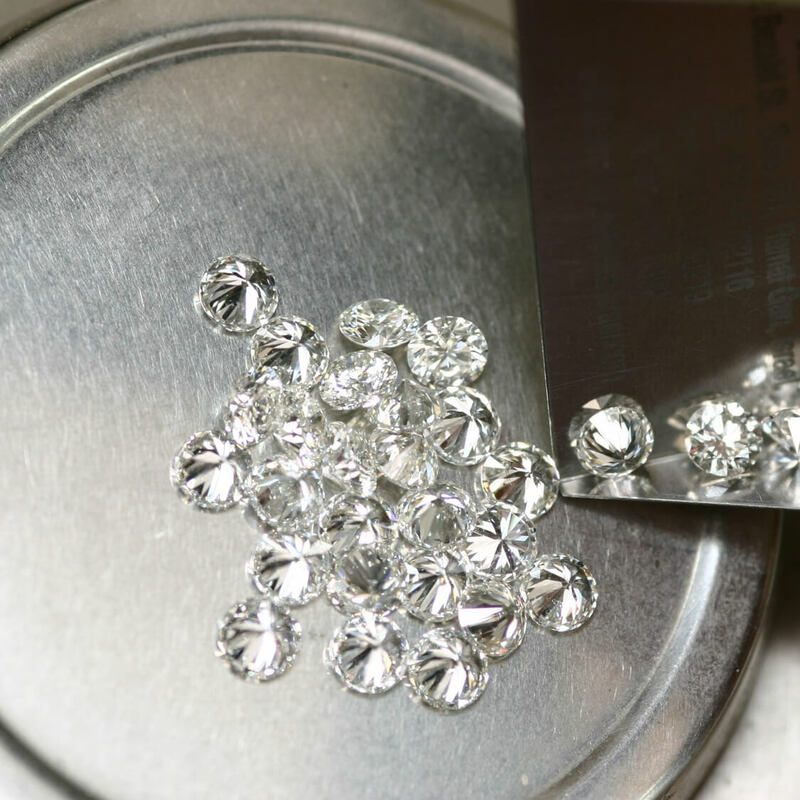 Gold and platinum are expensive metals so to cut down on costs, real diamonds may be set in silver. Jewelry styles have changed so many times throughout the years. If you have a piece of antique jewelry with a diamond in it, the setting may be a mixture of gold, silver and any other metal that was popular or more available during the time period. What about the style of the setting? Looking at the style of the setting is also not a reliable indicator. This may simply mean that the piece was set by someone with limited experience, or you simply don’t like the taste of whoever designed it. Either way, don’t rely on the style or material of the setting to figure out if your diamond is real or not. For the average person, just about every faceted gem will sparkle. And did you know that some diamonds such as an emerald cut diamond doesn’t sparkle? But this does not make it any less real. Also, the term “sparkle” doesn’t mean what you think it does. When gemologists use the term “sparkle” they are referring to scintillation which has to do with patterns of light and dark areas that are a result of reflections in the diamond. Scintillation also relies on many different factors such as the cutting style, number of facets, the cut quality, the lighting, the level of cleanliness of the diamond and so on. Be sure to visit our page on the 4C’s of diamonds to learn more. A diamond can’t be scratched, so just rub it with sandpaper to see if it is real: You could damage the setting that the stone is in and risk lower the overall value of your diamond. Real diamonds don’t fog, so just breath on it and see what happens: There are too many factors involved here for this to be an accurate test, don’t waste your time. If the stone has sharp edges, it’s real: Fake diamonds are cut to look like real diamonds. So many imitations will be cut to have sharp edges. There are so many factors that go into spotting a fake diamond and many of the DIY diamond examinations are not reliable at all. So make sure to consult an expert. And if you are looking for Austin jewelry buyers to sell your diamond, look no further than M.I. Trading! We provide a safe friendly environment where you can receive a full diamond evaluation and a no obligation offer. Contact M.I. Trading today to make an appointment with our local, expert gemologist. Check out the M.I. Trading blog for more exclusive stories about the world of diamonds.